A very comfortable residence, in the traditional Savoyard style. 100 m from the ski lifts: come back with your skis on. Residence recommended by children: free activities for 6-12 year-olds during Christmas, winter and Easter school holidays. 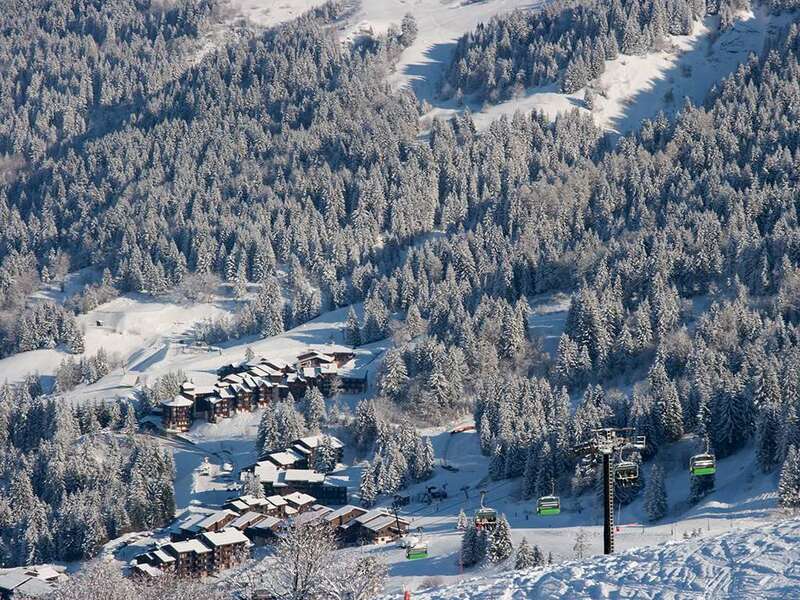 A typical Savoyard family ski village. A residence in the heart of station with comfortable apartments. Kids friendly residence: free activities for 6-12 years old. A number of activities are available both in the residence and local area such as: 'Le Grand Domaine', between the Tarentaise and Maurienne, has 3600 hectares of skiable areas. 150km of slopes with snow zone, boardercross, slope style and free ride area. Enjoy the charm of the mountains from 1300 to 2550m altitude with forests, hilly pastures and steep slopes. Free activities for children aged 6-12: indoor and outdoor games, discover the mountain, sledging. For relaxation, Valmoforme centre: saunas, hammam, cabins and hydro massage cabins. Opening hours of the reception: Summer season Sunday to Friday from 9 am to 12 pm and 5 pm to 7 pm. Saturdays from 8 am to 12 pm and 2 pm to 8 pm. Closed on Wednesday. Winter season Sunday to Friday from 8 am to 11 am and 5 pm to 7 pm. Saturday from 8 am to 12 pm and 2 pm to 8 pm. Closed Wednesday and Thursday afternoon. Please note: subject to change, please contact the residence before your arrival. From studios for 4 people to 3/4 bedroom apartments for 8/9 people. balcony or terrace in most apartments. Accommodation description : 1 living room, 1 sleeping alcove, 1 kitchenette, 1 bathroom and 1 toilet. Living room description : 1 sofa bed with 1 pull-out bed (recommended for children) and 1 sleeping alcove with 2 bunk beds. Description Kitchen : Kitchenette opens out onto the living room. Bathroom description : 1 bath with 1 toilet. Accommodation description : 1 living room, 1 bedroom, 1 kitchenette, 1 bathroom and 1 toilet. Living room description : 2 sofa beds, one of which includes a pull-out bed (recommended for children). Description Bedrooms : 1 bedroom with 1 double bed. Description Kitchen : Kitchenette opens out onto the living room. Bathroom description : 1 bath and 1 toilet. Accommodation description : 1 living room, 2 bedrooms, 1 kitchenette, 1 bathroom and 1 toilet. Living room description : 2 sofa beds. Description Bedrooms : 1 bedroom with 1 double bed and 1 little bedroom with 2 bunk beds. Description Kitchen : Kitchenette opens out onto the living room. Bathroom description : 1 shower, 1 bath and 1 toilet. Accommodation description : 1 living room, 2 bedrooms, 1 kitchenette, 2 bathrooms and 1 toilet. Living room description : 2 sofa beds, one of which includes a pull-out bed (recommended for children). Description Bedrooms : 1 bedroom with 1 double bed and 1 bedroom with 2 single beds or bunk beds. Description Kitchen : Kitchenette opens out onto the living room. Bathroom description : 1 shower, 1 bath and 1 toilet. Description Others : Some apartments are duplex apartments. Accommodation description : 1 living room, 3 bedrooms, 1 kitchenette, 2 bathrooms and toilet. Living room description : 2 sofa beds. Description Bedrooms : 2 bedrooms with 1 double bed and 1 little bedroom 2 bunk beds. Description Kitchen : Kitchenette opens out onto the living room. Bathroom description : 1 shower, 1 bath and 1 toilet. Description Others : The apartments are duplex.